Find out how clever your horse really is! A step-by-step online training course with over 100 videos, lessons and ideas for having fun with your horse. 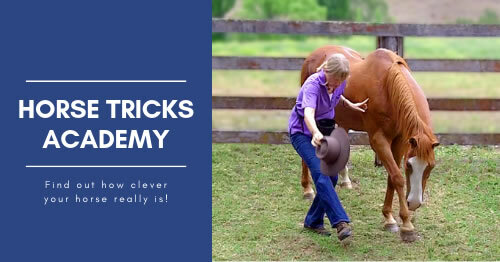 This course shows you how to teach your horse tricks in a way that is 100% horse friendly.